﻿ Berklee, Who Will Win A 2019 Grammy? Berklee, Who Will Win A 2019 Grammy? 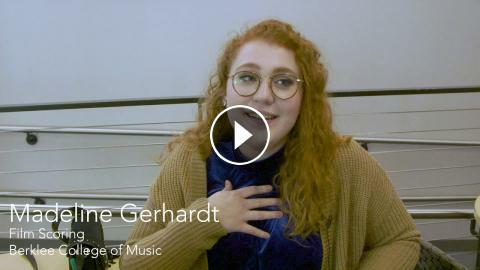 Berklee College of Music and Boston Conservatory at Berklee students tell us who they think will win a grammy. Berklee, What Is Your Dream Job? Berklee, What Is Your Favorite Class? Grammy Nominated Singer Halsey Opens up about Miscarrying during a Performance! Hey Berklee, What is Summer in the City? Berklee, What Are You Doing Abroad? Berklee, What Are You Doing This Summer? Berklee, What Are You Working On For Midterms?